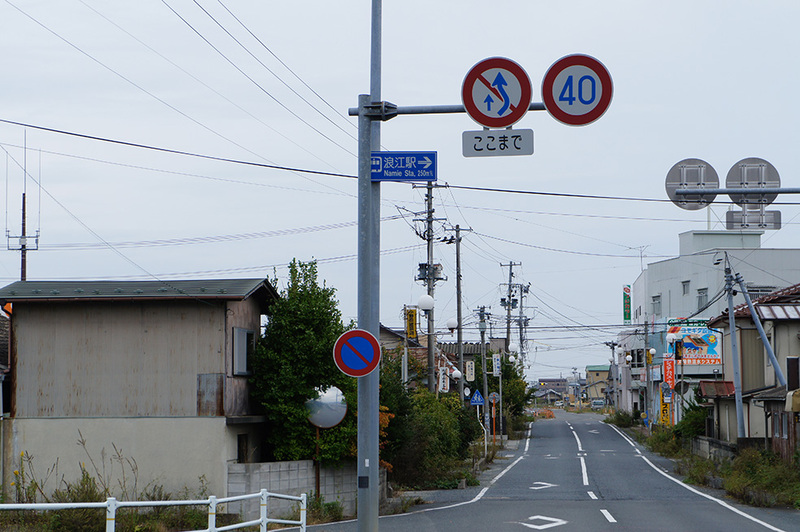 After Ukedo we passed the checking point to enter the No Zero zone, Namie. A guard looked at my permission from the outside of the car. He looked young. I wondered if he has working there and not afraid for radiation. It was difficult to find the graveyard. I had to phone to my uncle to ask. The radiation dose is getting higher in the area. I did not want to stay any longer. There were two men sitting in a car near the cemetery. I was a bit afraid of them, but said hello. We parked the car in front of the apartment near the cemetery. The radiation dose was 2.0uSV/h. My friend carried a high quality Geiger counter with her. The cemetery is near a forest, just 5 minutes from the parking, and found easily the grave of my grandmother. 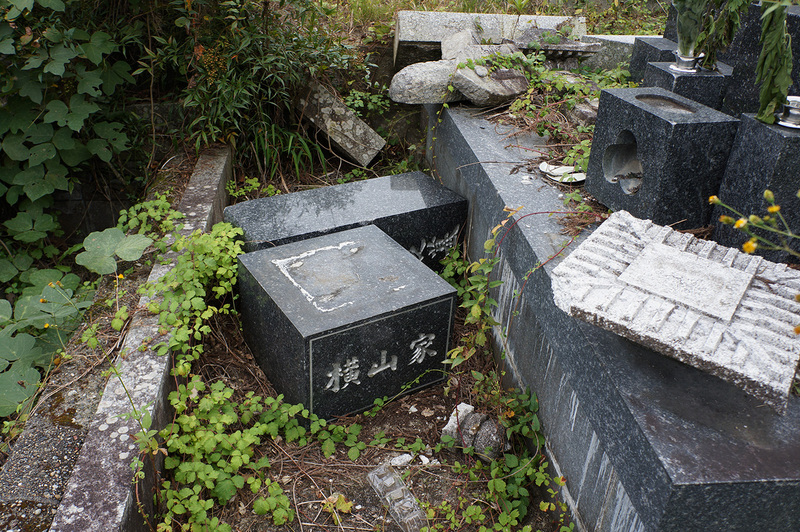 The gravestones were fallen by the earthquake. Suddenly my friend got panic by that Geiger counter was making noise to high the radiation dose up till 7.8uSV/h. I just said her to go back to the car. 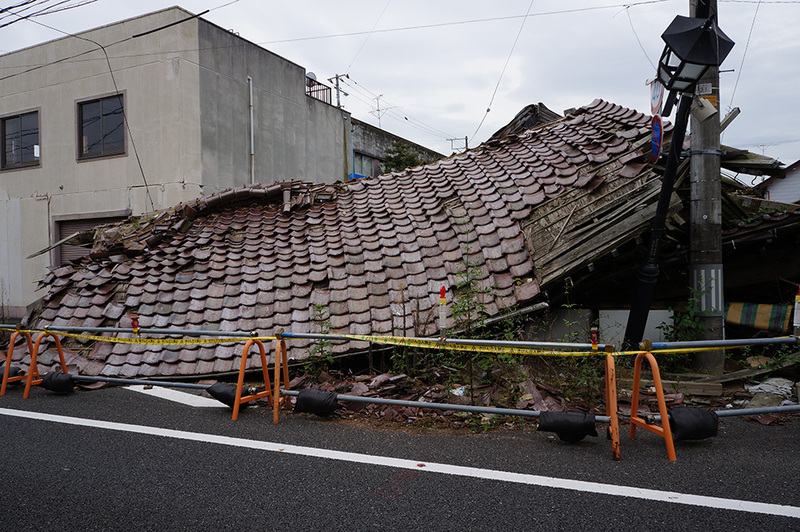 She has been living in Fukushima city, so she must be already exposed. She quickly left the graveyard. I put flowers, prayed for my grandmother and took a few pictures. 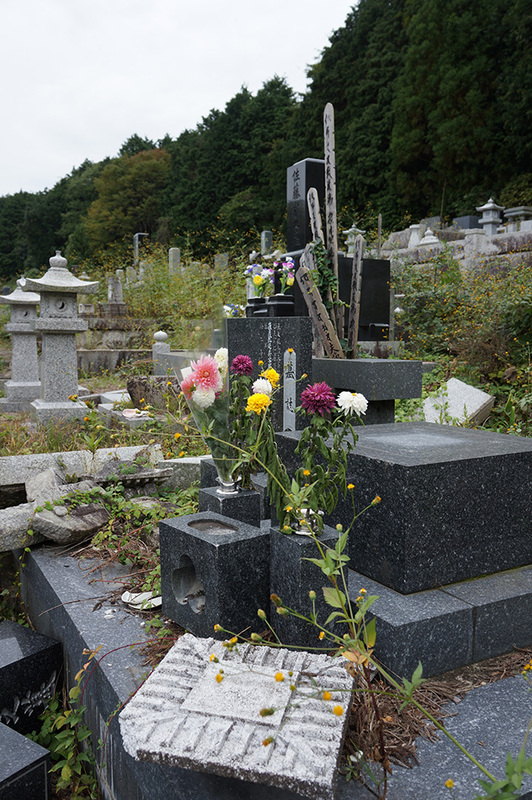 I was not really afraid, but I wanted to leave the graveyard as soon as possible. Though we cannot see, smell and feel radiation, but knew by Geiger counter that it was there. We passed again the checkpoint and went to the place to control the radiation doses we might have gotten. They checked under our shoes and the tires of the car. It was no problem. On the way back we did not talk much. I was and am still confused to confront to see the abundant area in where people cannot live anymore. On the other hand people are having their normal life just next to that area. Though it was hard to confront, very important for me to actually see the sites. I reaffirmed nuclear is a really horrible thing that its disaster can cause many tragedies.